Planning a 80’s theme summer party? Then how can it be complete without “Shutter Shade Sunglasses“. 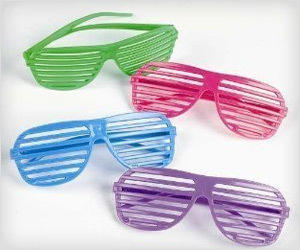 These add super fun with people rocking your party.